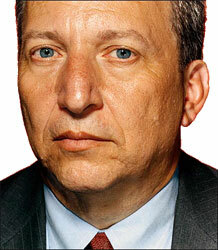 I'm not suggesting Lawrence Summers is a role model, but I am always looking for career advice. A man who has advised presidents, led an Ivy League University (though he resigned under fire) and was a front nominee for the post of Chairman of the Federal Reserve has undoubtedly figured out how to advance a career. “He’s kind of been going about his life just on the basis of ‘who knows what’s going to come next?’ and just sort of maximizing his experiences, given the opportunities in front of him” (New York Times August 11, 2013). Summers has jumped into as many roles as he can assume and has tried to make the best of each job he's taken. Create your own opportunities by taking all the jobs that come your way. I've lived by this mantra. As a 22-year old teacher, I applied my technology skill sets by volunteering a lot of time to helping leadership organizations (Association for Supervision and Curriculum Development among them) get their newsletters and websites off the ground. I developed a reputation as a hard worker who had expertise to share and networked along the way. I jumped at every chance I had to assume opportunities that would expand my knowledge-base and broker relationships with potential employers. "The reason a lot of people do not recognize opportunity is because it usually goes around wearing overalls looking like hard work" (Thomas Edison).